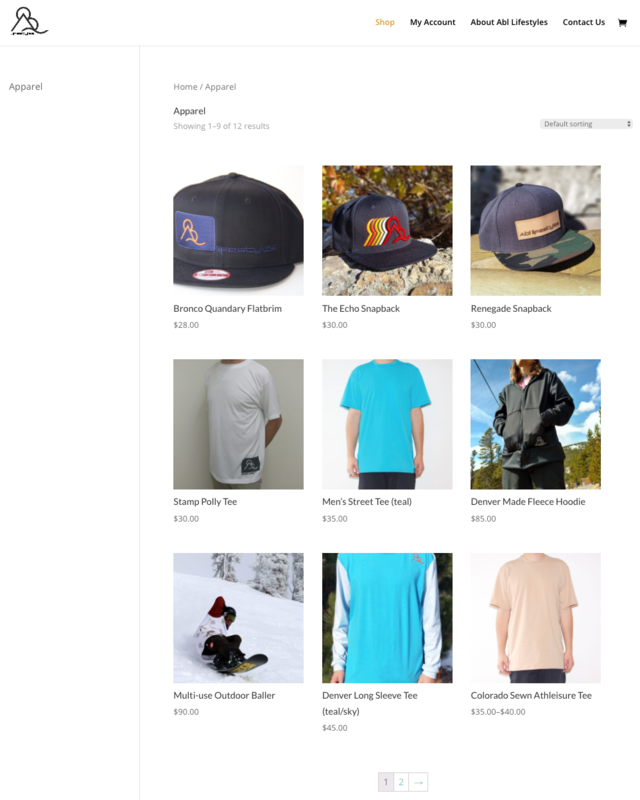 Abl Lifestyles is an exciting company that works with local artists and designers to create some great active lifestyles apparel right here in beautiful Colorado. We provided ABL with a WordPress/Woo Commerce platform to enable selling their products online. This combination is perfect to sell any kind or product digital or physical. We’ve found that ecomm platforms are in no short supply so when seeking out one that we wanted to get behind and support with our clients WordPress/WooCommerce is our favorite. Since these systems are open source and most plugins that have been developed are free or nominally priced will make most projects go smooth and save money. The work we put in to get everything stood up and trained on is owned by the client so there is no need to keep up with expensive contracts and pay ongoing every month for something you will never own.